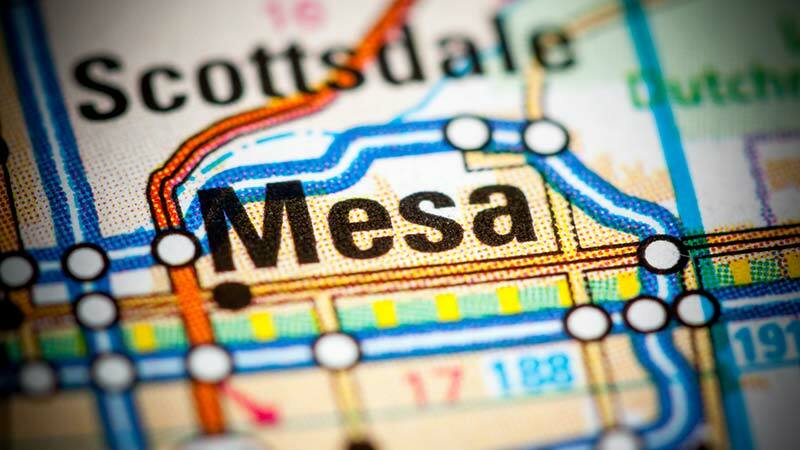 Mesa, Arizona—The Arizona Department of Public Safety received several calls just before 3:00 a.m. this morning reporting a wrong-way driver on the Loop 101 in the East Valley. It appeared the vehicle had entered the freeway from U.S. 60 and was southbound in the northbound lanes. The wrong-way vehicle, described as a silver sedan, collided head-on with a gray sedan north of Guadalupe Road. A second collision involving three other vehicles occurred as a result of the initial head-on crash. One car flipped and came to rest on its roof. Two drivers were taken to the hospital and the third was treated at the scene. Neither driver of the vehicles involved in the first collision has been identified, but authorities say both are men age 26. Both were transported to a local hospital for treatment of their injuries. The wrong-way driver had more serious, but non-life-threatening injuries. Officials suspect impairment is a factor in the initial crash.